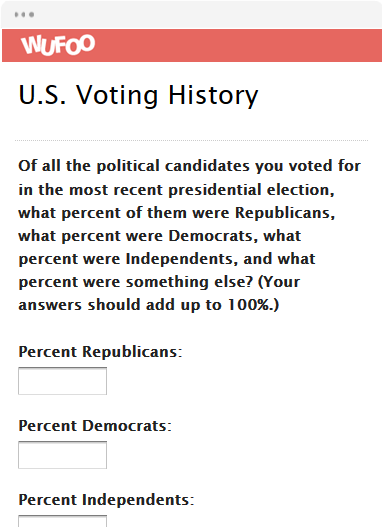 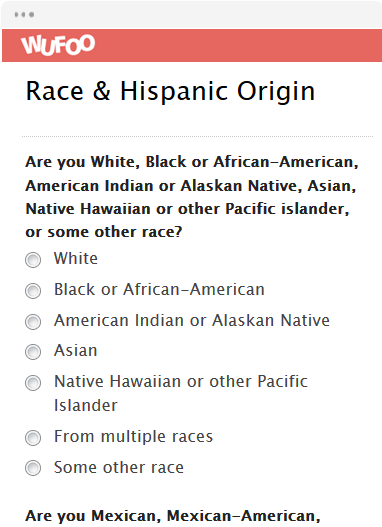 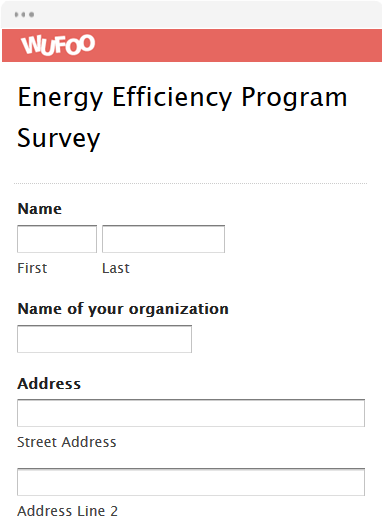 A Wufoo online survey form is not your ordinary online survey form. 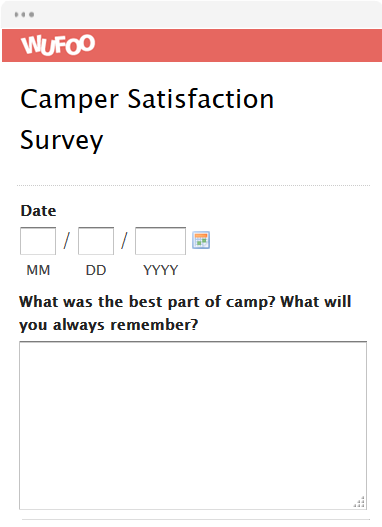 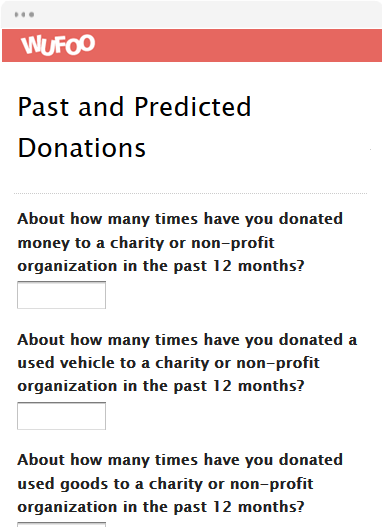 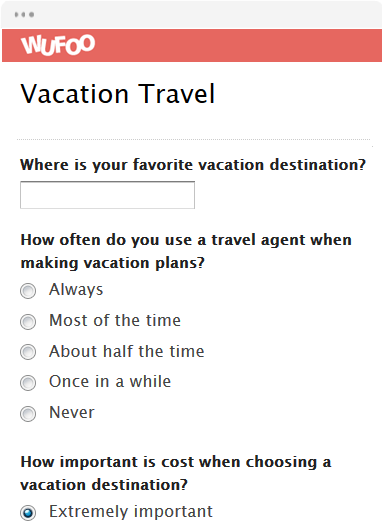 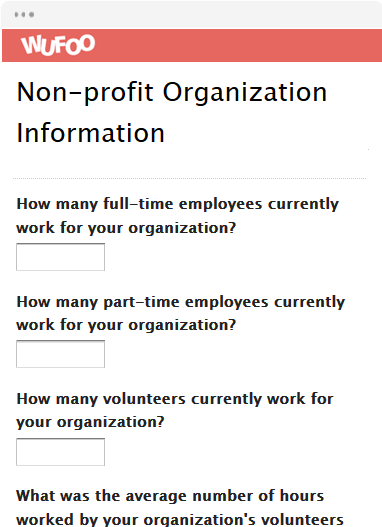 Wufoo’s survey templates can be customized with the questions and fields you want included, and you can even use logos and your brand colors. 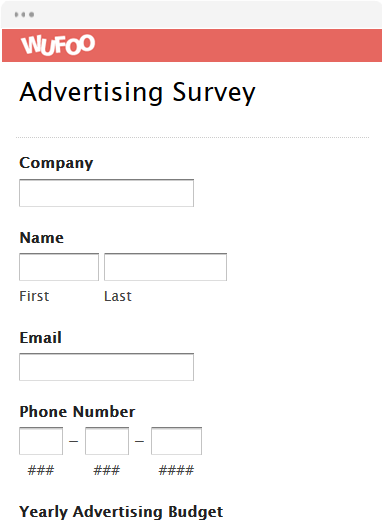 Our analytics tool will help you quickly tabulate results, and because our surveys live in the cloud, you’ll never have to worry about losing responses. 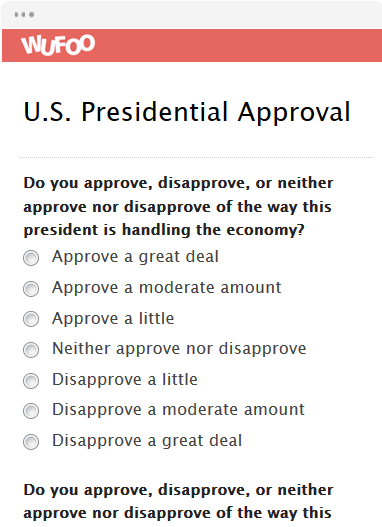 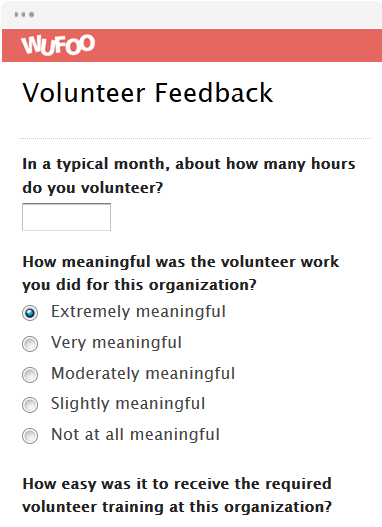 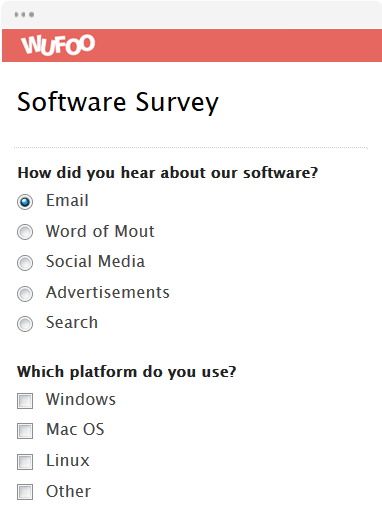 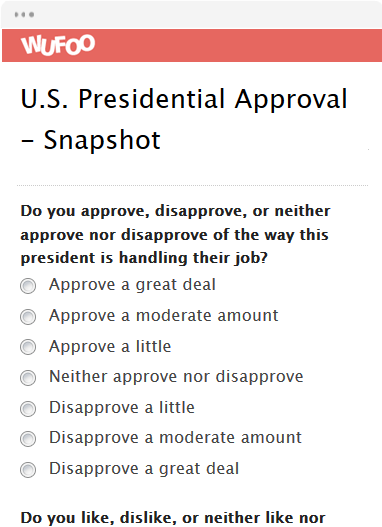 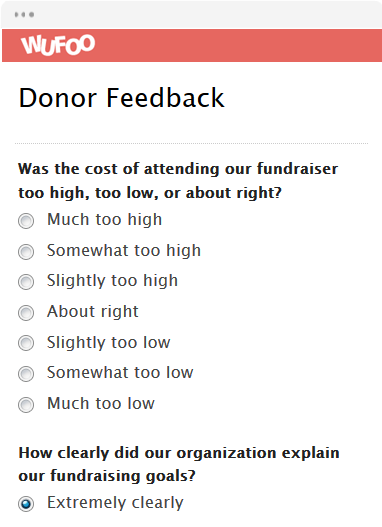 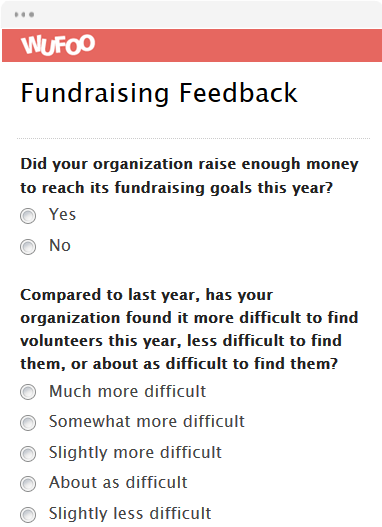 Best of all, you don’t have to be a programmer to use a Wufoo survey template–they’re easy and straightforward to send out. 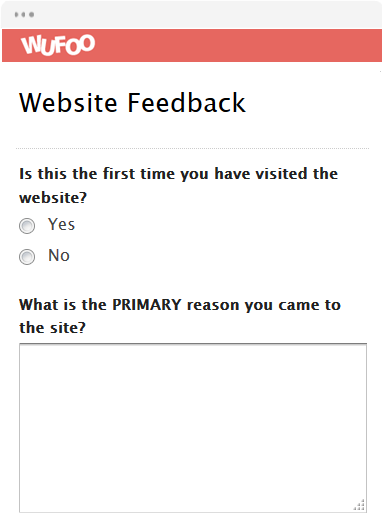 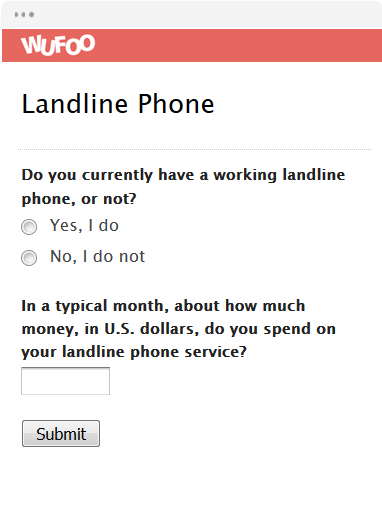 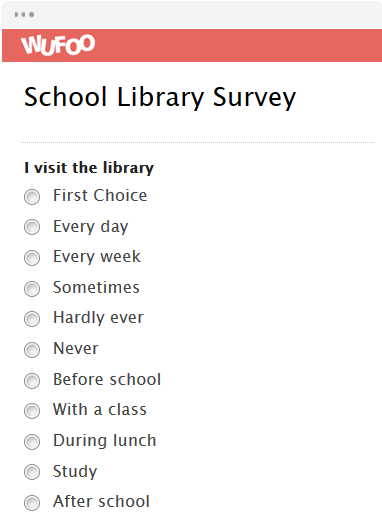 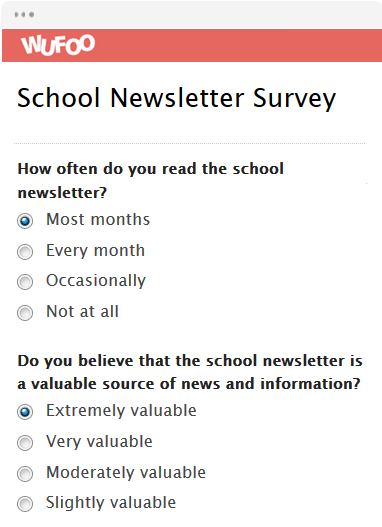 But if you are a programmer, you’ll love the behind-the-scenes functionality our online surveys provide.